Four and a half years ago, Amber Devine was student teaching in a low income neighbourhood in Edmonton. The community was mostly made up of new immigrants who had just arrived in Canada. Of these immigrants, there were about ten students who had come as refugees from Sudan. She fell in love with these kids as she learned about their stories, and ever since then she has felt a passion for learning about east Africa, the people and their needs. Today, Frank and Amber Devine are serving short term with Food for the Hungry in Mbale Uganda. Amber is busy teaching classes of up to 123 students and Frank is making bricks in preparation for the Cap Church team visit and work project coming up in May. 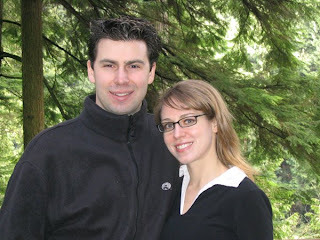 You can read about their daily adventures on their blog by visiting: http://devinesgotoafrica.blogspot.com/.